Christ, crowned with thorns, is clothed in a robe of imperial purple in mockery of his description as the King of the Jews. Van Dyck shows Christ as the Man of Sorrows with a single tear running down his face – an image of profound sadness and humility. The format, with Christ’s body shown close up, confronts us with his human suffering. The title, Ecce Homo, means Behold the Man – the words Pilate used to present Christ to the people before his crucifixion. The great Flemish artist Van Dyck painted this work in Genoa during his stay in Italy (1621-7) for the noble Balbi family. This publication accompanied the exhibition ‘Anthony Van Dyck: Ecco Homo and The Mocking of Christ’, Princeton University Art Museum, 9 March – 9 June 2002 and The Barber Institute of Fine Arts, 25 October 2002 – 19 January 2003. 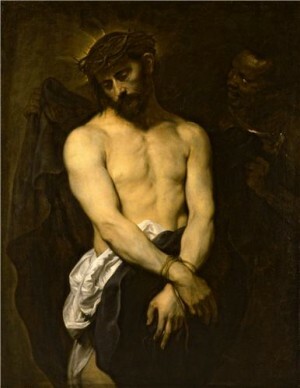 The exhibition was focused around two of the most moving of van Dyck’s religious pictures, Ecco Homo in The Barber Institute of Fine Arts and The Mocking of Christ in the Princeton University Art Museum. 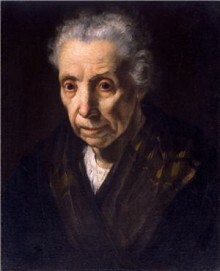 Reunited for the first time in more than twenty years, they are accompanied by other works by van Dyck, his predecessors and contemporaries, which place them in a wider context. It will soon be available to purchase from.the University of Birmingham online shop for £2.95 +£4 p&p.